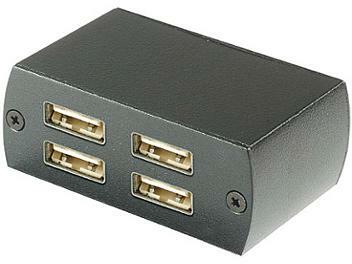 Extend four USB devices up to 50 meters over CAT5/5E cable. Compact size, easy plug and play. Application for extend USB peripheral devices, such as security cameras, printer, scanner, keyboard, mouse, etc.